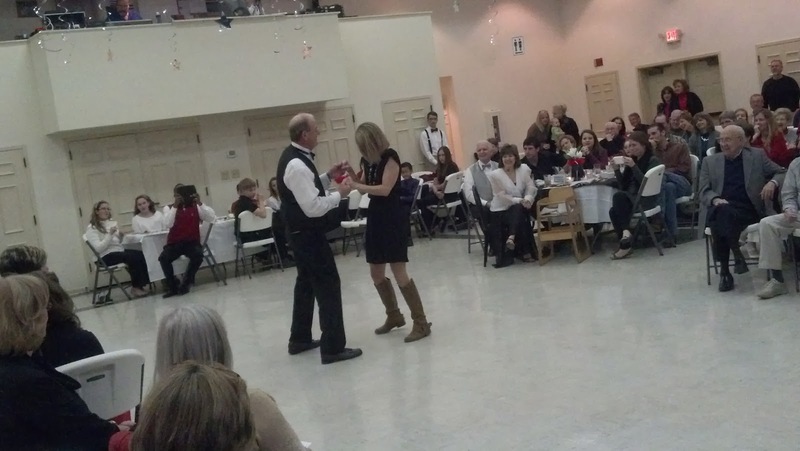 The Barefoot Youth Ministry at the Toccoa First United Methodist Church held a fundraiser February 8th for their mission work this spring and summer. 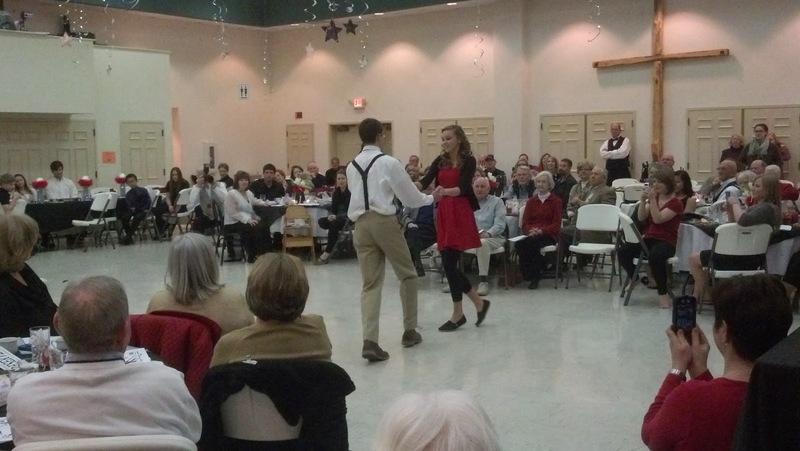 It was a dance competition that was a night of good food and true entertainment! Knox was one of the youth working the event. He shocked me when he came out of his room and asked, "How do I look?" 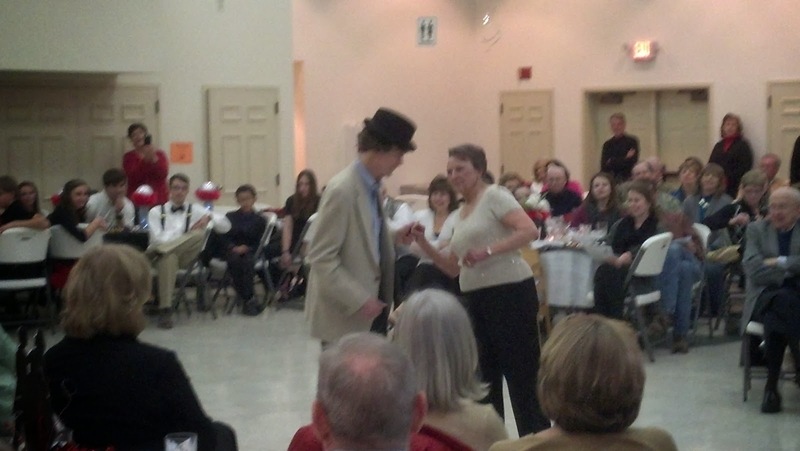 He was in Mr. Fred's suit that we bought from the estate sale after Mr. Fred and Ms. Wilma had passed away. Knox could wear Mr. Fred's dress pants and suit almost perfectly, so we couldn't turn down the opportunity to get them. When we came for the dinner, Knox was finishing up a few last minute decorations. 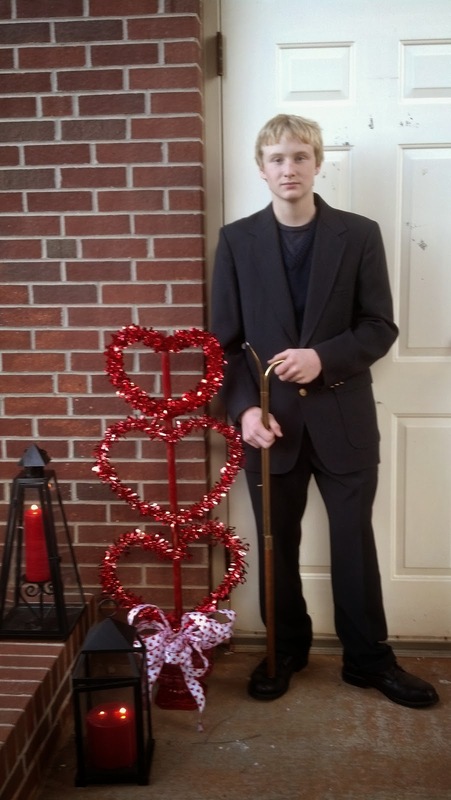 So, with him fussing the whole time...I got a picture of my first born, all dressed up! The youth had decorated the Cheek Hall beautifully! There were stars hanging from the ceiling and candles on the tables. 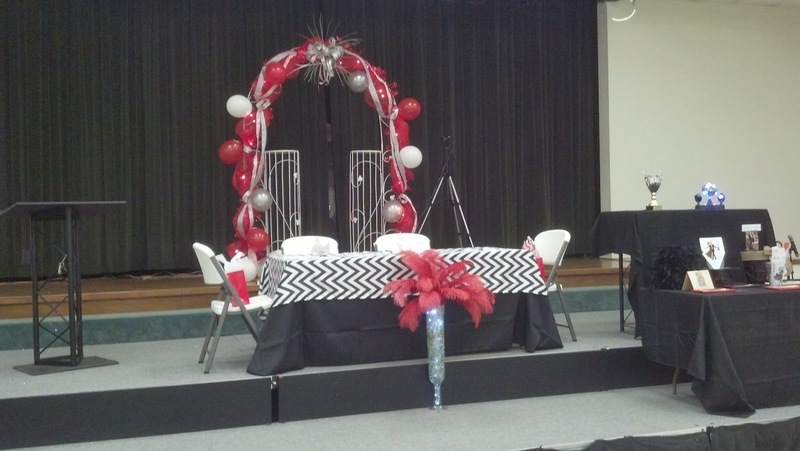 The stage was also festive with an arch decorated with the red and white theme. 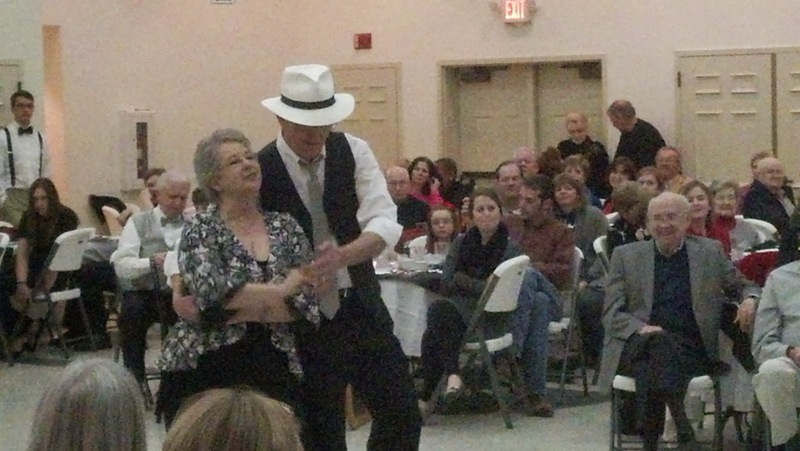 The two step took on new meaning with Tony and his daughter Mary Beth on the dance floor! 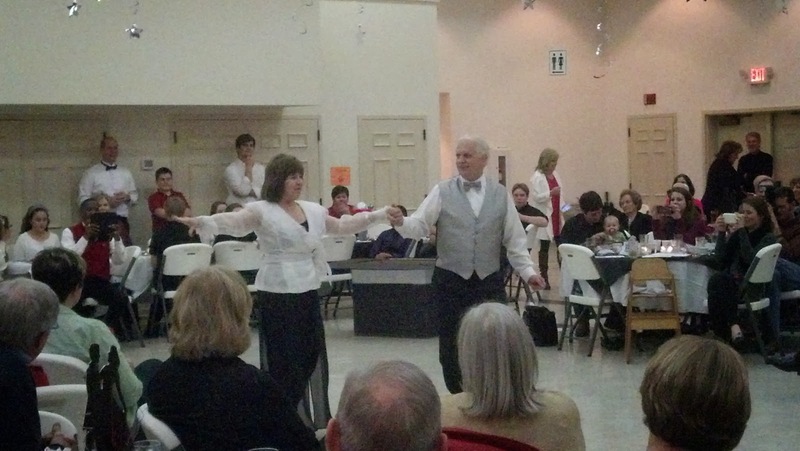 Mark and Susan slid onto the dance floor...showing us how to work the floor in step together. Then came Ethan and Katie. 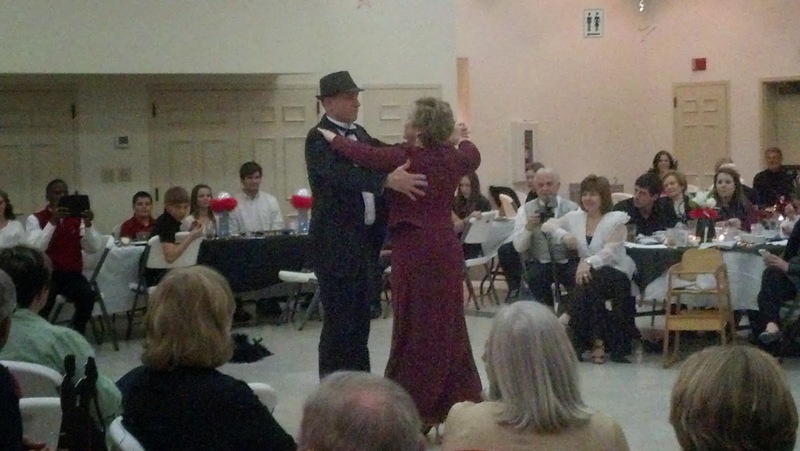 Their energy was high flying on the dance floor! They may have won, but the real winners will be the people who will benefit from the mission work that the Barefoot Youth will be doing in Normal, Oklahoma and Toccoa, Georgia this spring and summer!